Now that NSIDC is publishing data again I thought I would post two graphs comparing JAXA MASIE and NSIDC. 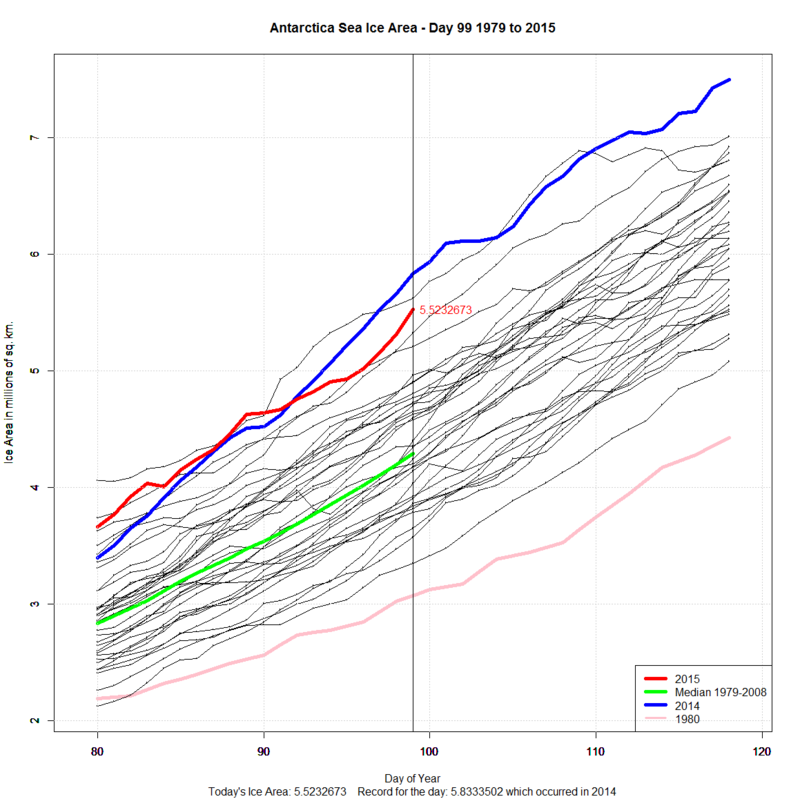 Normally in the Arctic JAXA and NSIDC are very close only at the minimum … but now they are very close. And in the Antarctic they might as well be doing just one they overlap so much. 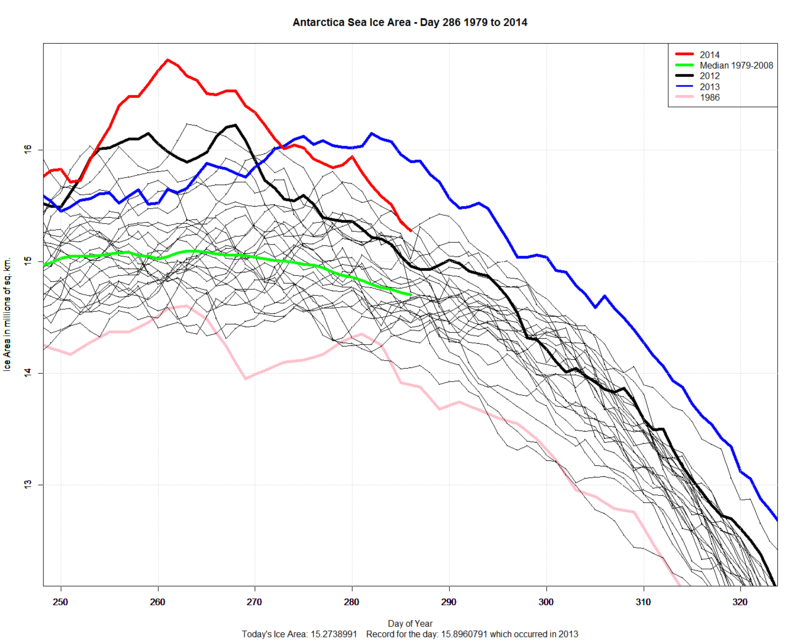 Antarctic Sea Ice Area (difference between Area/Extent here). Data for Area here. “THE size and power of ships needed to break through Antarctica’s increasing sea ice levels is a worry for the global research community. In recent years countries including Australia have battled to reach their stations on the frozen continent, making resupply missions time consuming and expensive, Australian Antarctic Division spokesman Rod Wooding said. 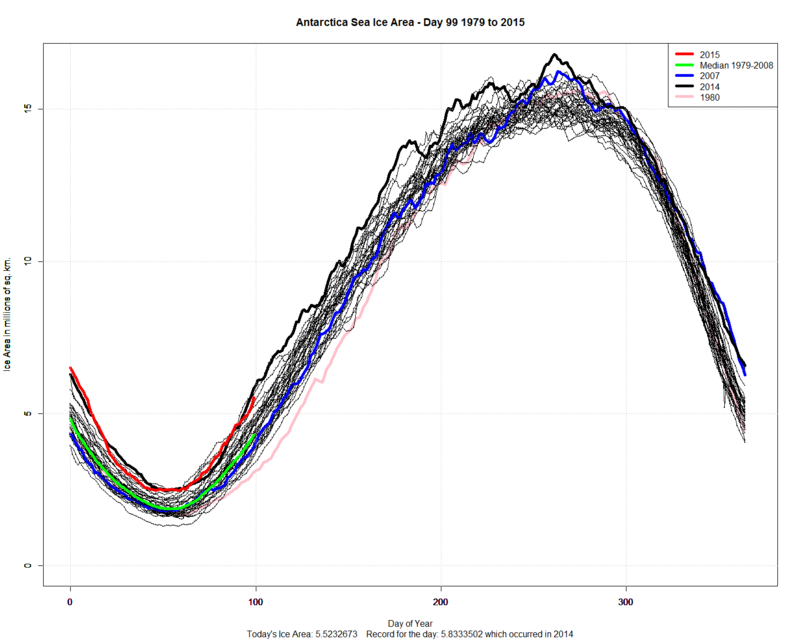 “We’re noticing that the sea ice situation is becoming more difficult,” he told reporters on Monday. The sea ice through the Southern Ocean and around Australia’s Mawson Station usually breaks up for a couple of months a year allowing ships to enter the bay but that did not happen in 2013-14. But but …. I thougth all this stuff was easy to forecast. Just blame it on global warming! I guess blaming more sea ice on global warming is difficult when the’ve been screaming for decades that global warming causes less sea ice. I usually do Sea Ice Extent. But I had a request for Area. 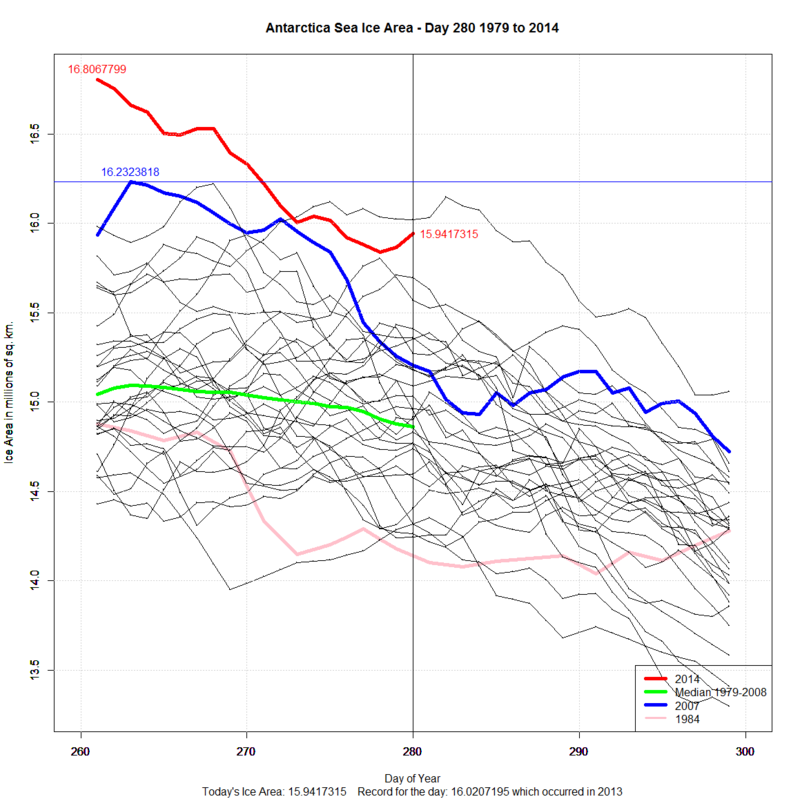 Antarctic Sea Ice Area Data is here. It is usually 5-6 days behind NSIDC Extent data. Area data is 2 days behind extent data.